Today Buell’s descendents follow his conservative management philosophy: stay small, but be aggressive in solving problems for their customers. 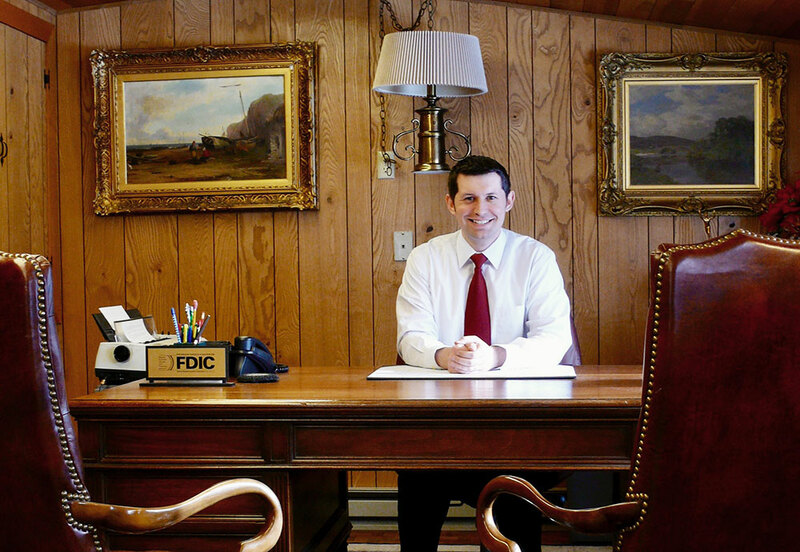 Management and staff are geared to offer all the convenience of a big bank, but with an informal hometown atmosphere. Lending decisions are made in-house, and rules may be flexible, within the law, to meet individual circumstances. 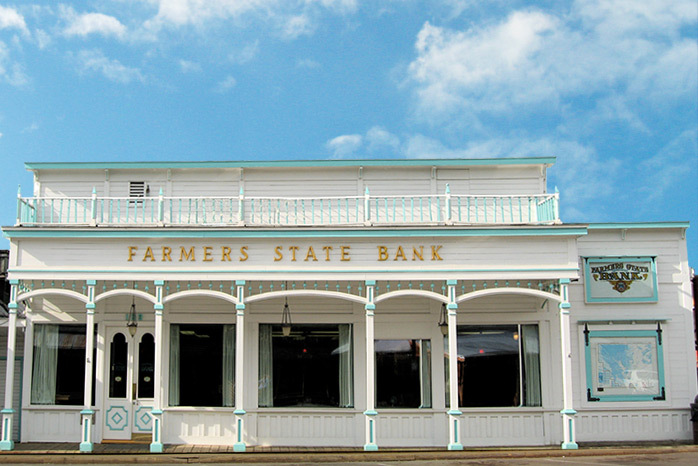 The appearance of this unique community bank, on the boardwalk of an old-western town, even depicts old-fashioned values. All these factors have kept Farmers on a firm foundation while larger banks scramble to stay solvent in difficult times. In fact this third-smallest Washington bank, with $40 million in assets, has earned the top five-star rating from independent analysts. This attests to Farmers’ strength in assets, capital, net worth and ability to meet demands on deposits. In recent years, Farmers has been adopting modern banking features. Debit cards and on-line banking bring customers – for those who want this – easier access to their accounts. Farmers’ clients can now get money at the nearest ATM or access their account online to pay bills or check their balance 24 hours a day, seven days a week. 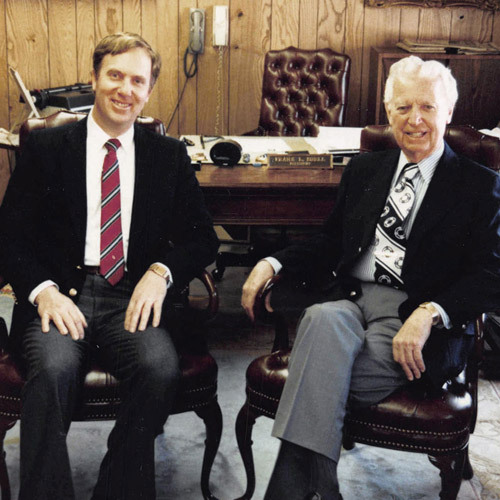 Edward L Adams, President and Frank L Buell, Chairman of the Board. 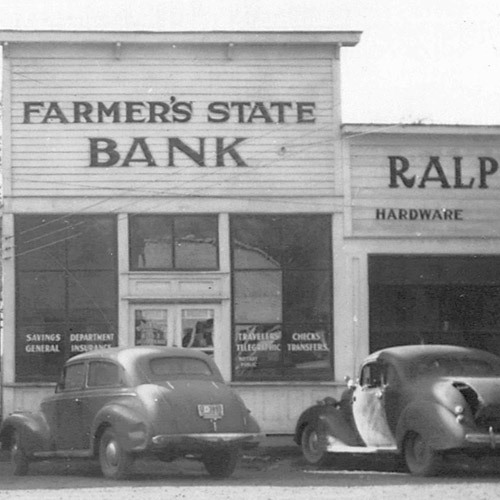 Farmers State Bank, around 1940 before expansion into neighboring hardware store. 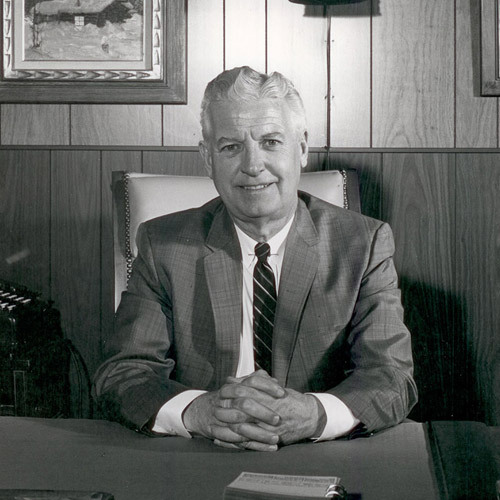 Frank L Buell, President, 1967. 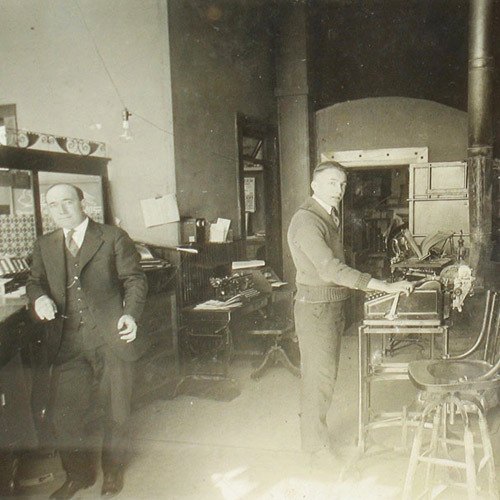 Newly opened Farmers State Bank, around 1915.